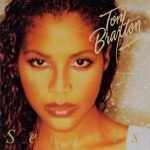 Rewind Review: Toni Braxton "More Than A Woman"
I can remember telling someone how much I liked this cd, and the person actually said to me, “Toni has something new out”? Kids, that is the crux of our “Rewind Review” feature: focusing on great music that you may have missed amongst the shuffle. 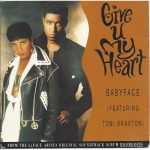 Around the time this cd was released, Toni did a reality special with VH1. During the special, she expressed her frustration with her record label at the time over their refusal to promote the album due to the fact that- get this- she was pregnant. Of course we know that there is no way that a pregnant woman can travel to talk shows and music video shows and promote an album. Everyone knows that pregnant women are unable to sing until after 6 months after they have given birth. Yes, Toni worked with Cash Money on one track on this cd. Okay- process that thought. It’s okay, it was only one track. We’ve all made mistakes, and Toni has made enough good music that we can overlook this Cash Money momentary lapse in judgment. Refocus on what is good about this album, and there are good tracks here. “A Better Man” gives you that moody, quiet storm vibe that Toni is known for. It’s like the redux of “Just Be a Man About It”. The Neptunes produced “Hit the Freeway” is one of my all time favorite tracks by Toni. I love the fact that she was able to put her signature “I used to love you, but now you’ve got to go” spin on a more uptempo track. I also love both the melody and beat of “Hit the Freeway”. There is something lush about the track “Lies, Lies, Lies”. I am not sure if it’s the guitar, the arrangement, etc., but the track would have made a good single. “Do You Remember When” is a fun, bouncy song in which Toni reminisces to a time when her relationship was hot as fire. This is the one to get the flame in your relationship rekindled. “Me & My Boyfriend” of course utilizes the infamous Tupac sample of the similar song name. Of the songs who have utilized this Tupac sample, I like Toni’s version the best. Rumor has it that Toni’s version was also completed before other r&b songs that used this sample. 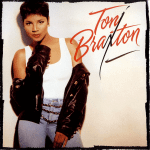 I absolutely love the way that Anita Baker’s classic “Sweet Love” was interwoven into Toni’s “Tell Me”. Under Toni’s tutelage, “Sweet Love” becomes very seductive. Add this one to your private dance repertoire. If you are looking for “new” music from Toni Braxton, and you don’t have a copy of “More Than a Woman”, add it to your collection. After all, since you probably haven’t heard most of the tracks on the cd, the music will still be “new” to you. “More Than a Woman” is available at Amazon.com.